KINGSTON, Ont. — Getting a phone call at 11 p.m. from your family doctor is a scary thing. But when it’s a phone call with the message to get your four-year-old to a hospital immediately – it’s earth-shattering. It’s life-changing. On April 24, 2008, Ken Cross and his wife Colleen received this exact phone call about their four-year-old daughter Megan, who would be diagnosed with AML Leukemia the very next day. Cross is the senior manager, human resources business partner at SLH Transport and Sears Canada, and this year, for the fifth year in a row, he will be cycling across Canada with 32 others volunteers – from Vancouver to Halifax – to honour his daughter Megan and support children with cancer across the country. The bike ride, which is 17 days long and begins today, is called the Sears National Kids Cancer Ride. The event, and foundation that runs it, donates 100% of its proceeds to the 17 pediatric oncology units across the country to assist to treat children with cancer. Cross said his association with Sears is not the reason he does the ride – it’s because of the foundation behind the event , Coast to Coast Against Cancer Foundation, that he does it. Coast to Coast hosts countless events across the country, all benefiting childhood cancer victims. 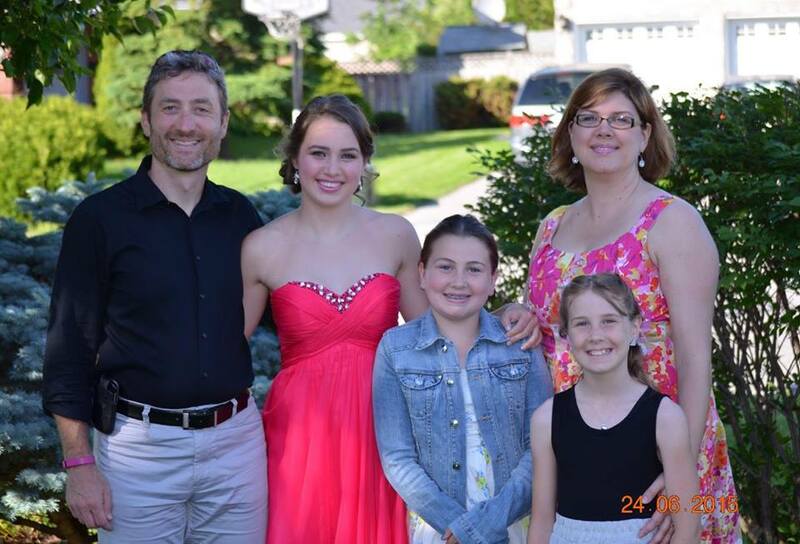 L-R: Ken Cross with daughters Leah, Megan, Emma and wife Colleen. The Sears National Kids Cancer Ride is now in its eighth year. It is the longest charity cycling event in the world that raises money for children affected by cancer. The cycling route spans more than 7,000 kilometres and the 33 cycling volunteers – called National Riders – travel between 150-220 kilometres per day. Since 2008, the event has raised more than $7 million. But the special thing about the foundation and the event, according to Cross, is that for every dollar donated, that whole dollar goes back to the children affected by cancer across the country, unlike other charities that raise money for the cause. SLH Transport also donated three trucks that the National Riders sleep in. The company made sure to retrofit the three trailers with bunk beds to accommodate all the riders. After Cross’s daughter was diagnosed with cancer on April 25, 2008, his family changed forever. Megan went through six months of chemotherapy following her diagnosis, and eventually went into remission. Then in February 2010, Cross and his wife were told after a routine two-week appointment that Megan’s cancer had returned. They had decided not to tell Megan and their two other daughters, Leah and Emma, that night because they wanted them to have one last good night’s sleep without worry. In May of that year, Megan’s older sister Leah, who was a bone marrow donor match, stepped up to the plate and helped her sister by donating her bone marrow. 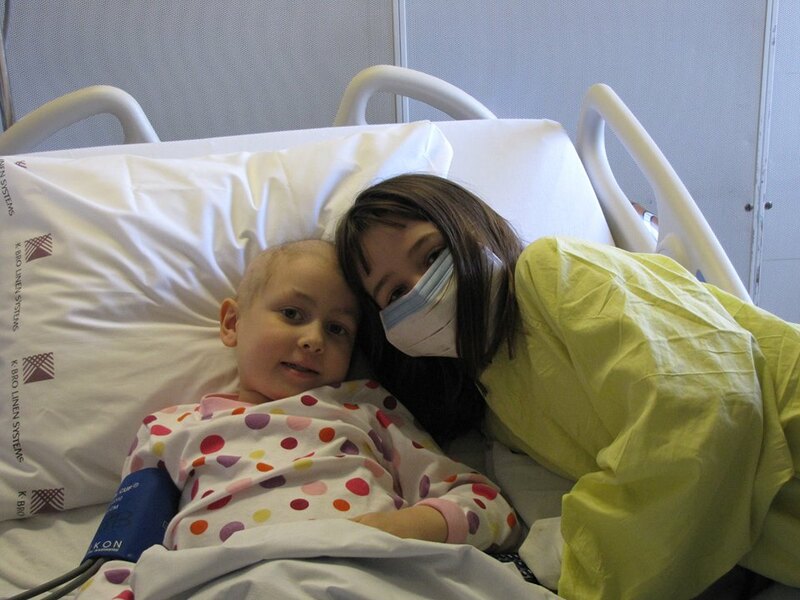 Megan (left) and sister Leah (right) on transplant day. Since the transplant Megan has been cancer-free. For every year Megan has been cancer-free, Cross has biked to help other families, just like him, who were rocked with the news that their child had cancer. He added that there is no monetary goal he is trying to reach with the event. Cross encourages everyone to donate what they can, adding that even a donation of $20 is enough to get a charitable receipt. To donate, visit the Sears National Kids Cancer Ride Web site at: http://searsnationalkidscancerride.com. While on the site, Cross encourages you to read each of the National Riders’ stories and blog posts that go up daily. He will be blogging daily as he travels and completes the event as the Team Captain. The ride begins this morning in B.C. and ends September 26 in Halifax.